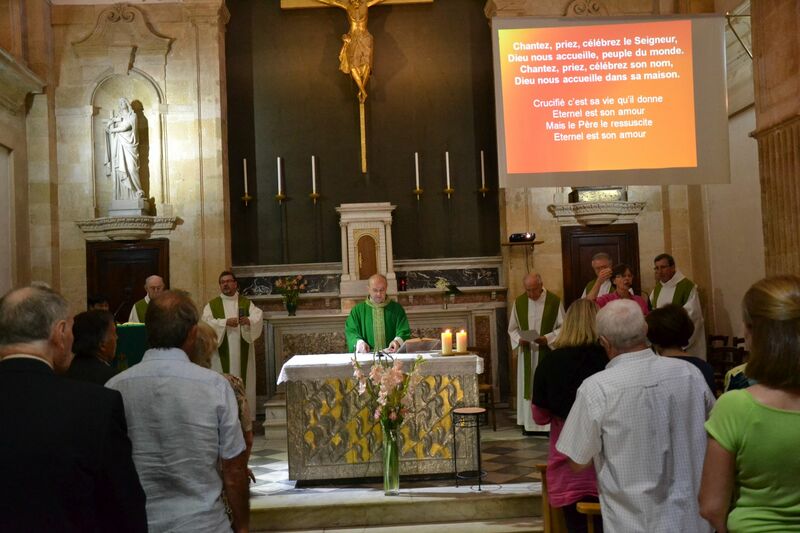 The latest news from the life of our community was posted several months ago and it will thus be difficult to share all that we have experienced since last summer! 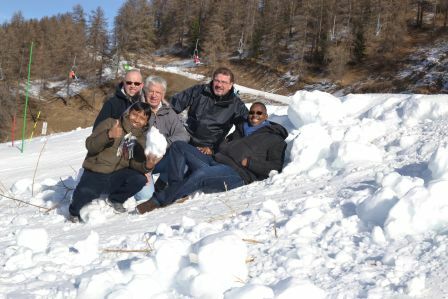 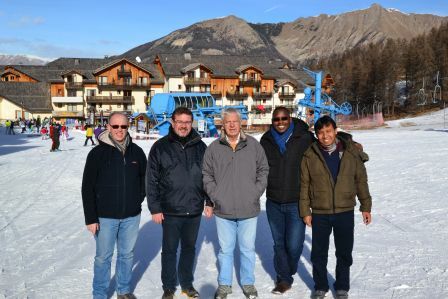 If we focus on major events, it is important to mention the de Mazenod Experience held in French, with Asodo and Joseph Bois as the principal facilitators and Ronald La Framboise. 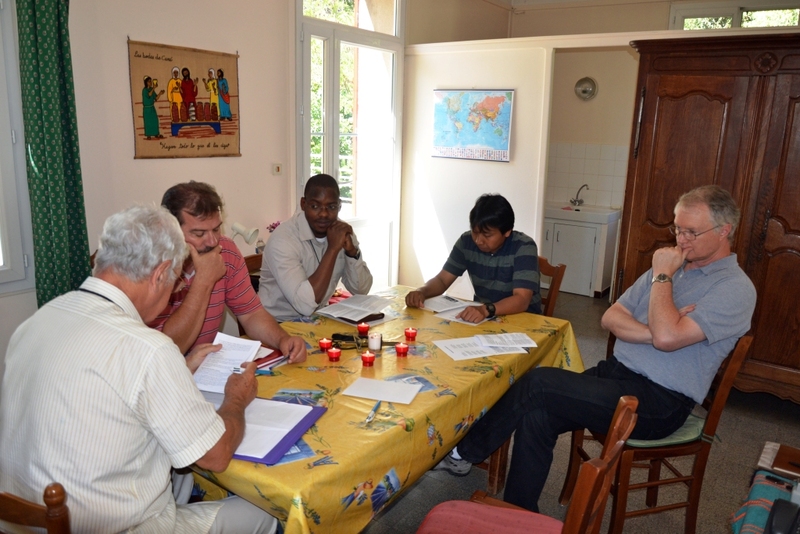 The months of July and August were filled with a session for the leaders of the Noviciate of the whole Congregation, after which, like every year, there was a session of Scholastics from Europe and North America who are preparing themselves for perpetual engagement. 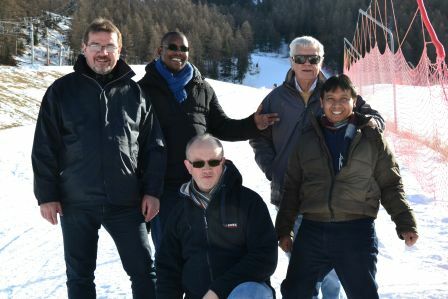 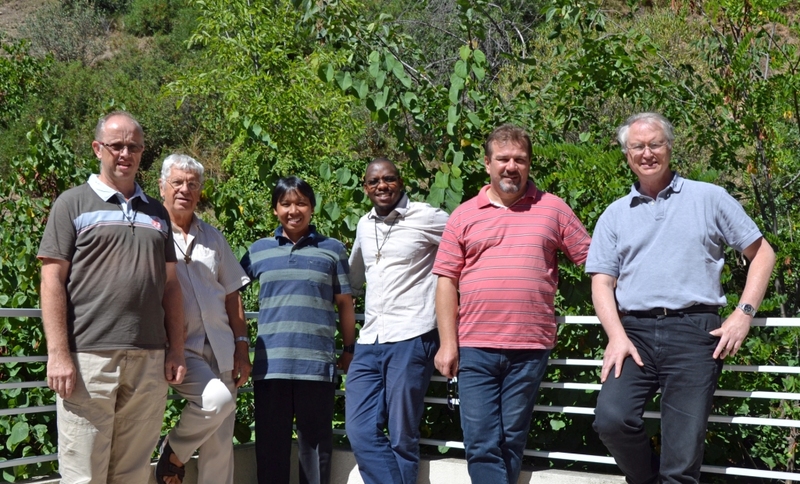 Another de Mazenod Experience, this time in English, has started mid-September, led by Bonga and Asodo as well as Father Tony Rigoli from USA. 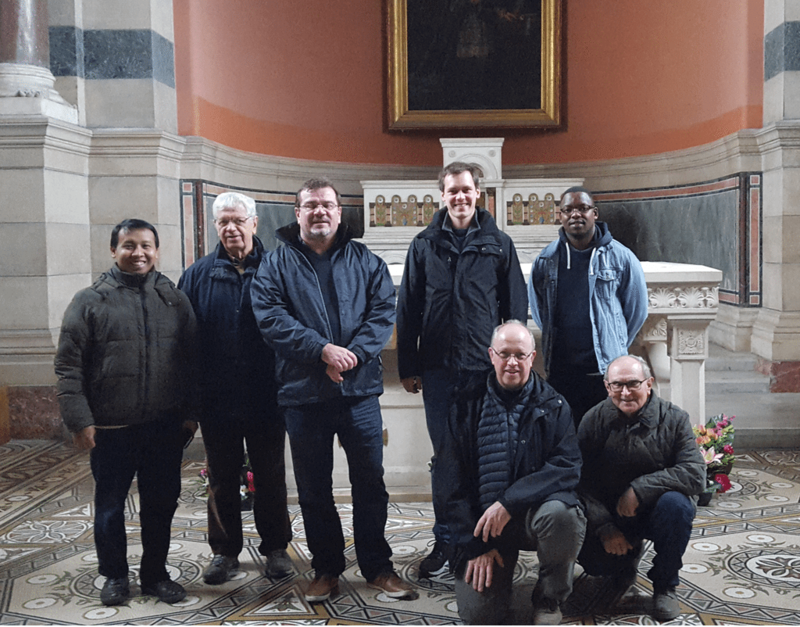 At the end of November, for our community members and several lay people, we had organized a short session about “interculturalism,” a reality which we face in many of our communities, such as our society. 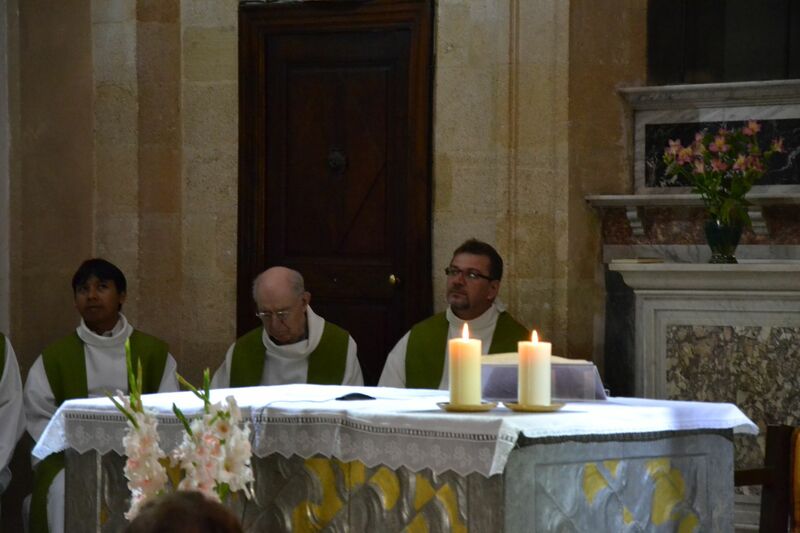 Throughout the year consecrated to Oblate vocations, we had held this intention in our prayers. 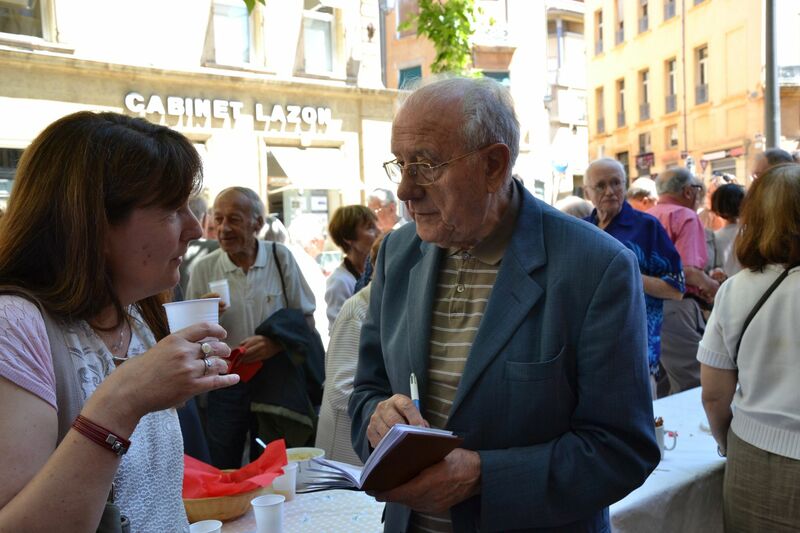 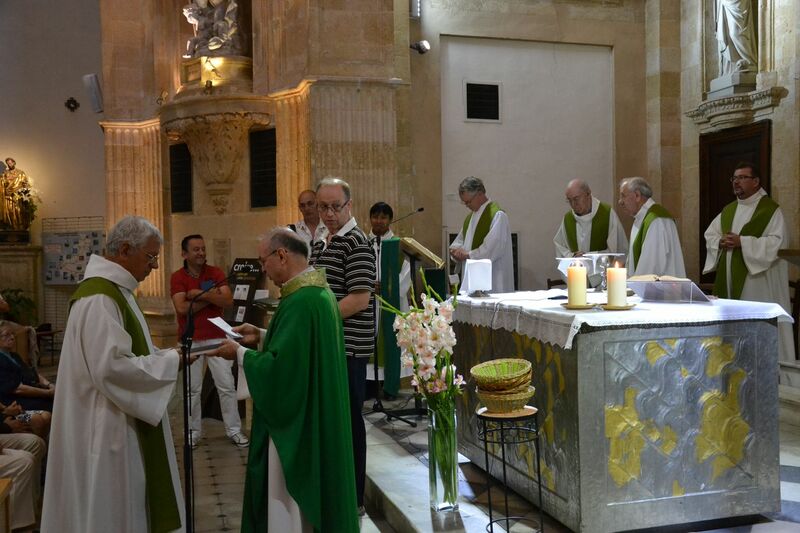 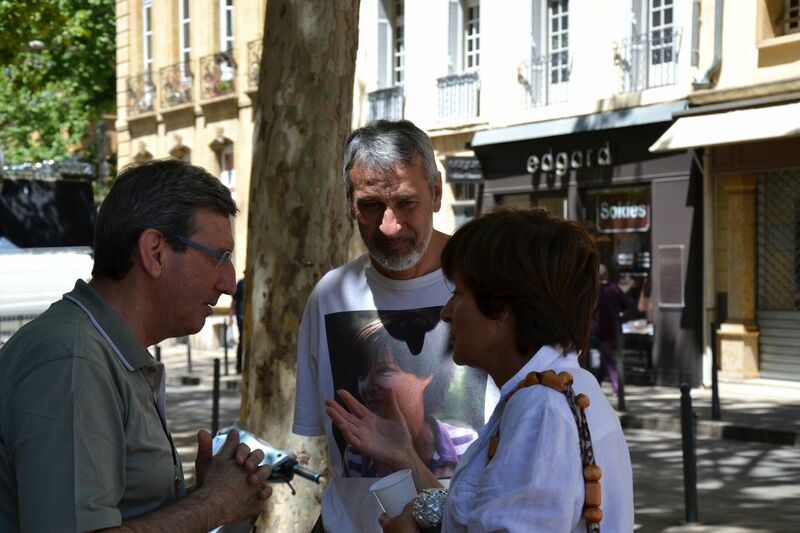 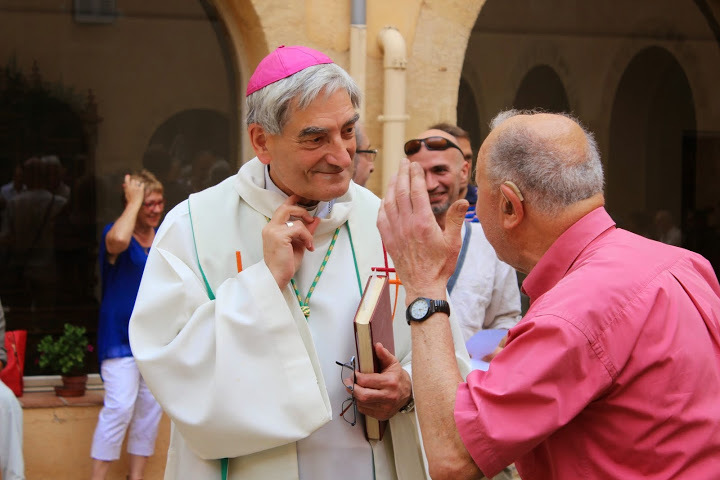 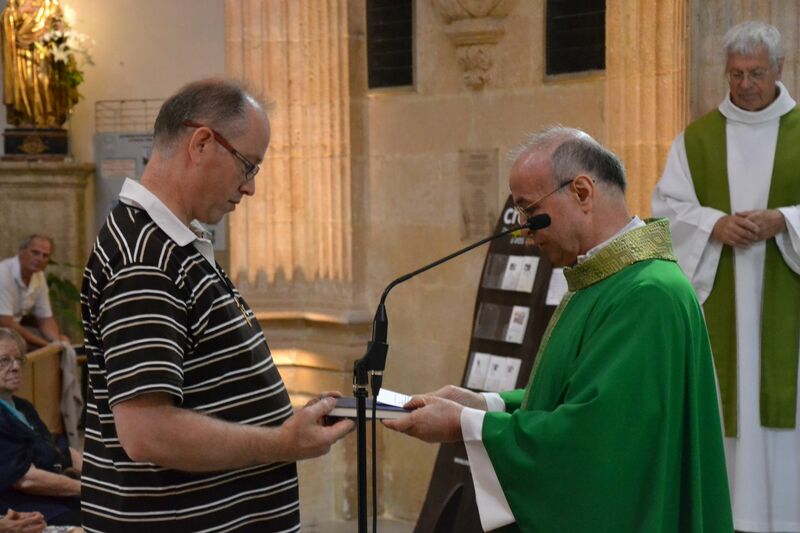 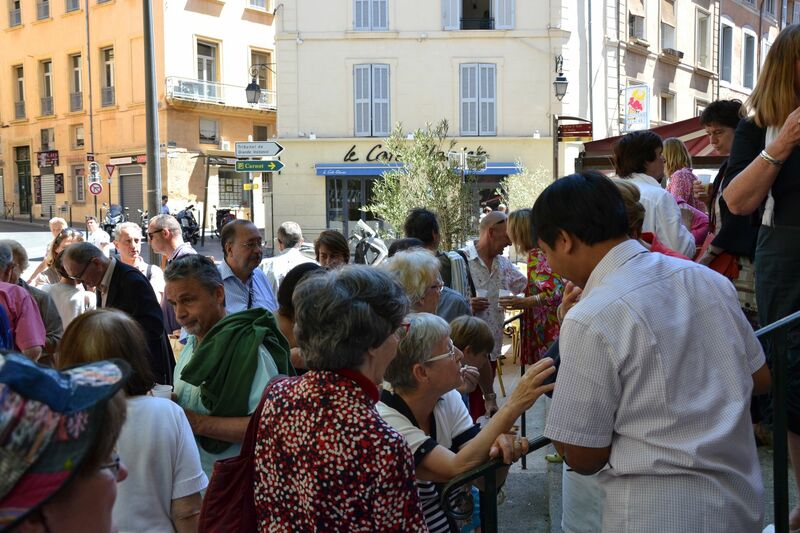 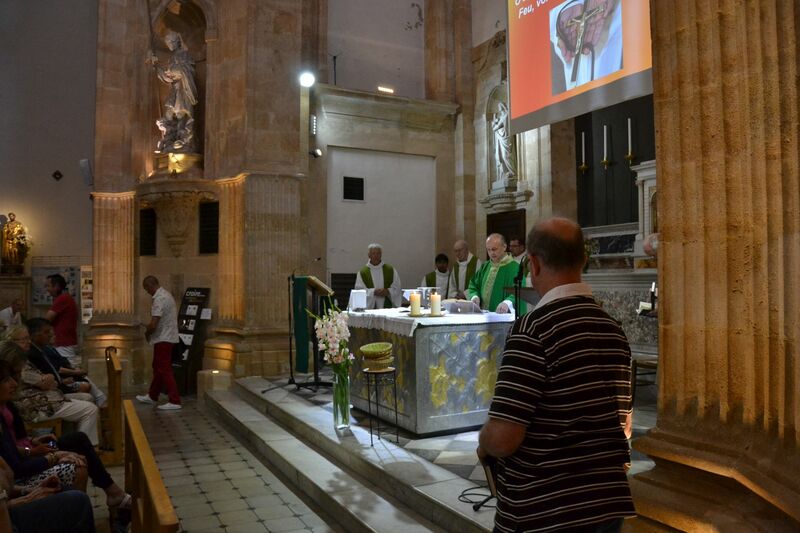 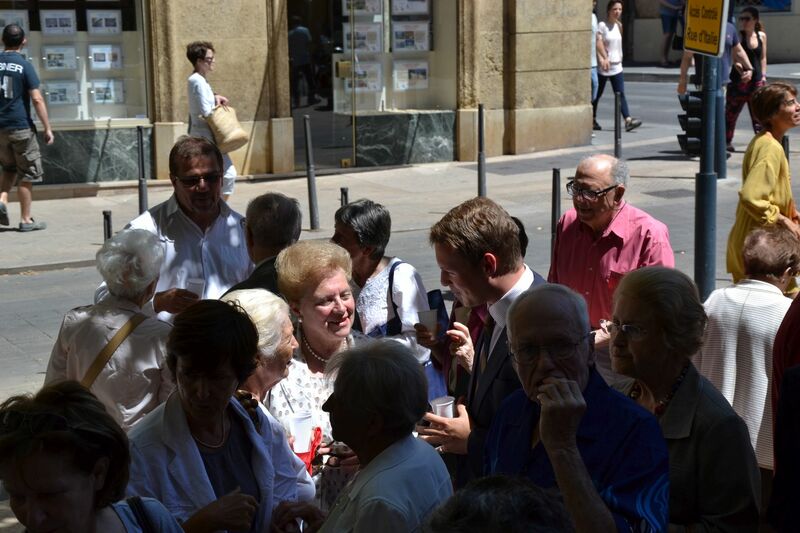 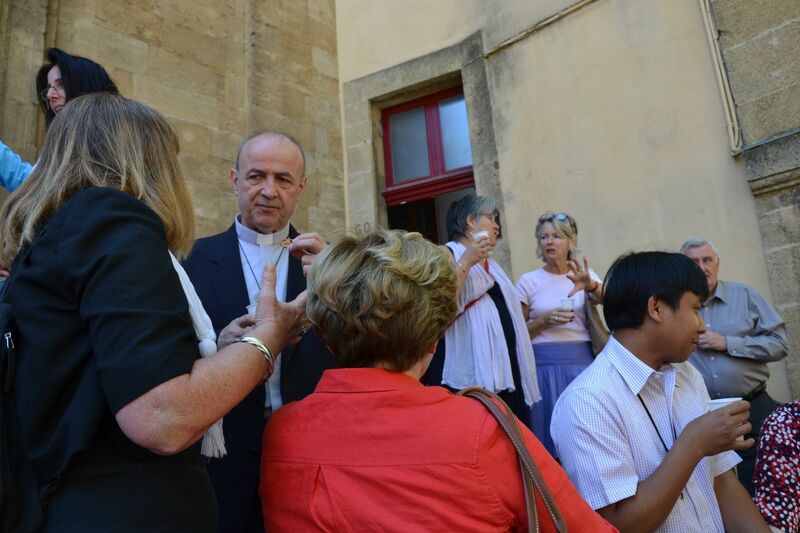 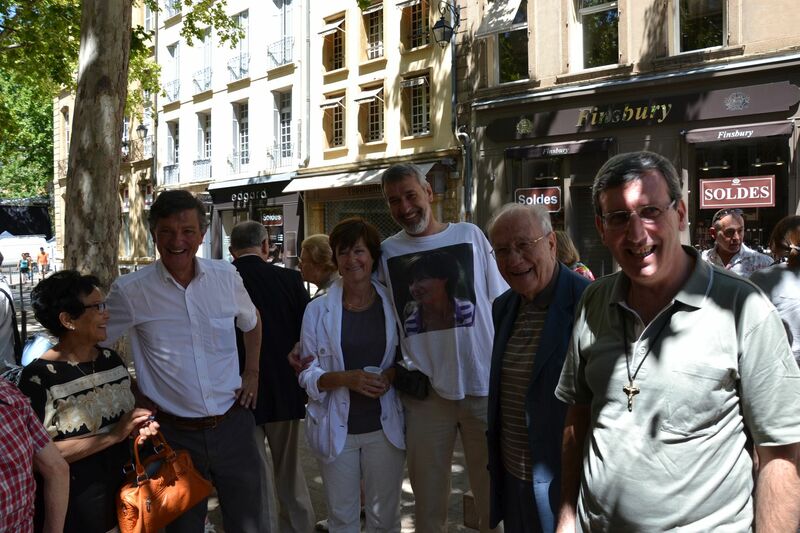 Each month, several members of the community and the Mazenodian Family gathered around the tomb of Saint Eugene de maze nod in Marseille to pray the rosary in this intention. 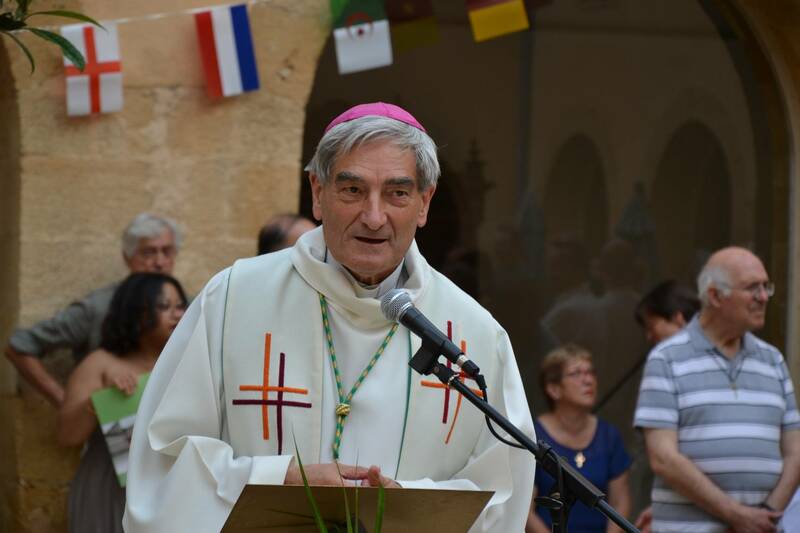 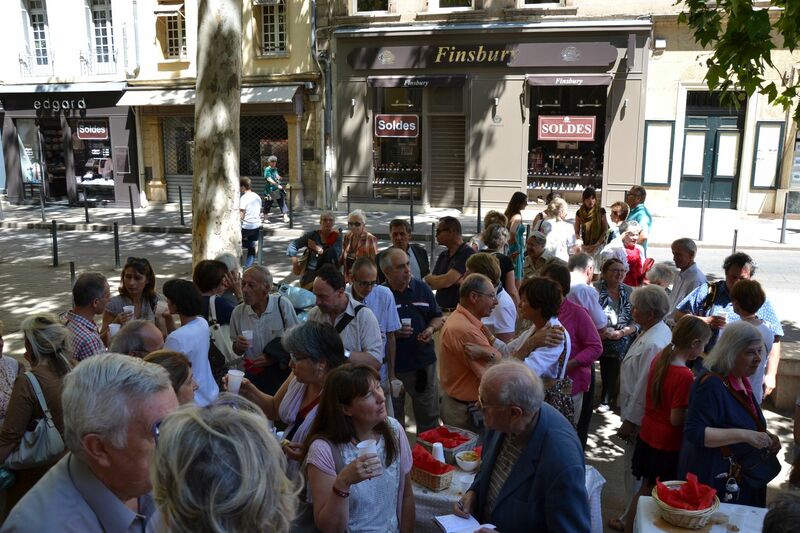 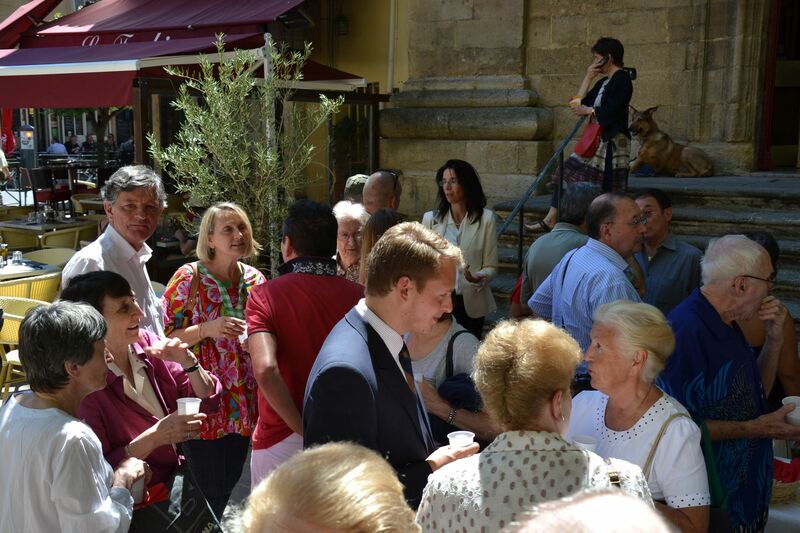 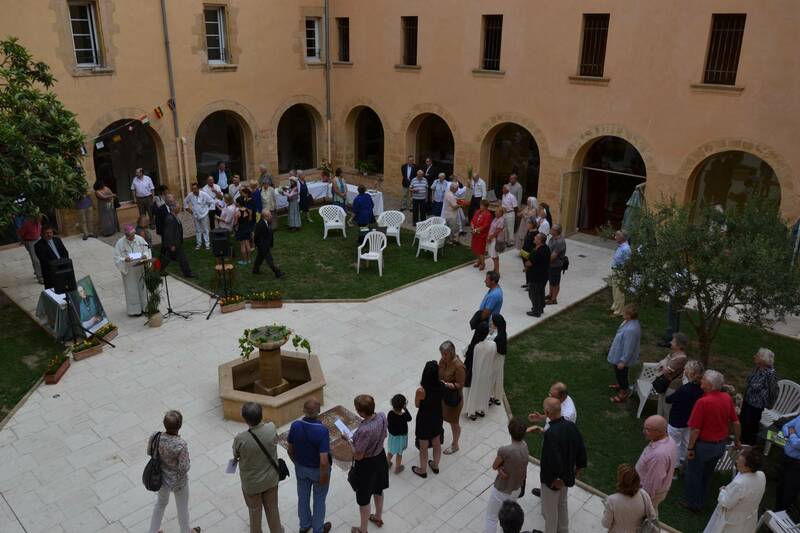 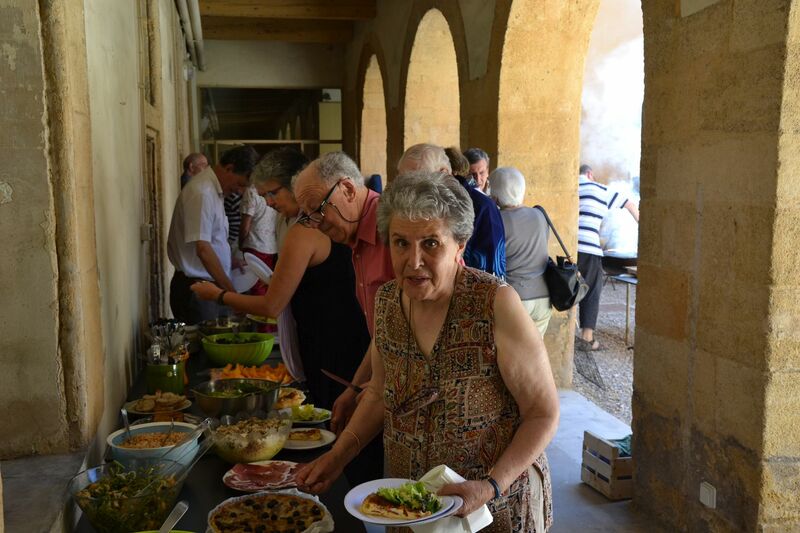 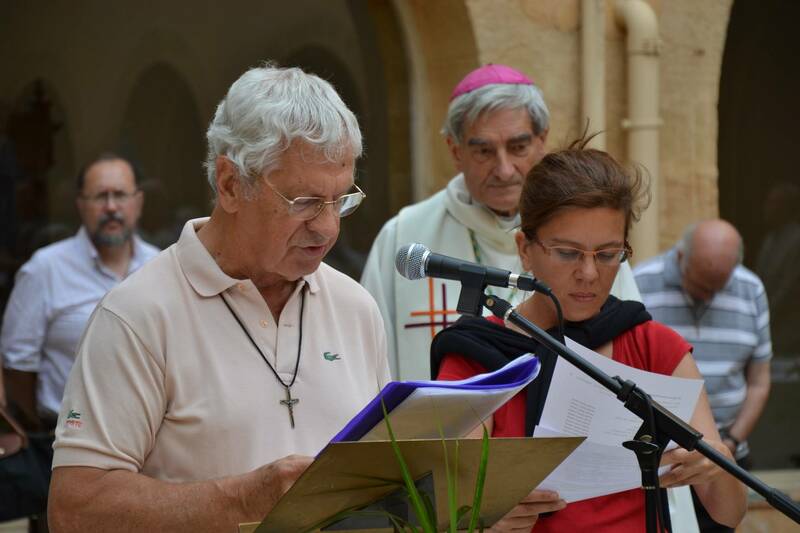 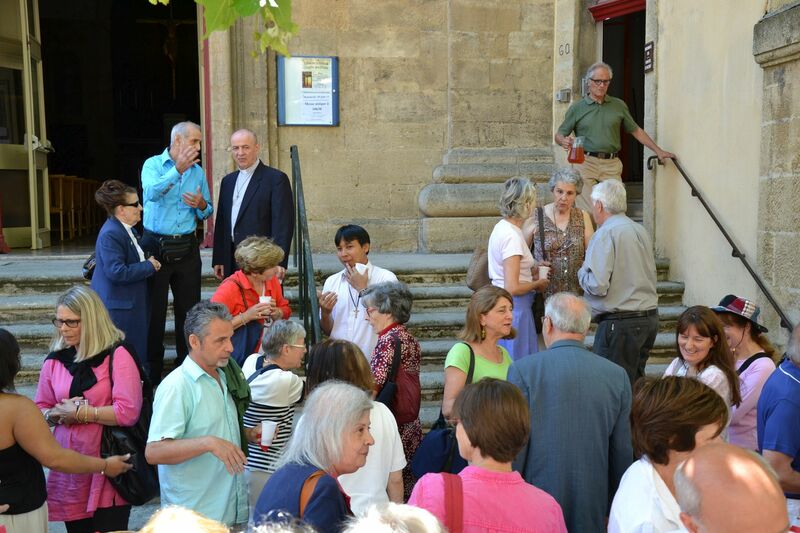 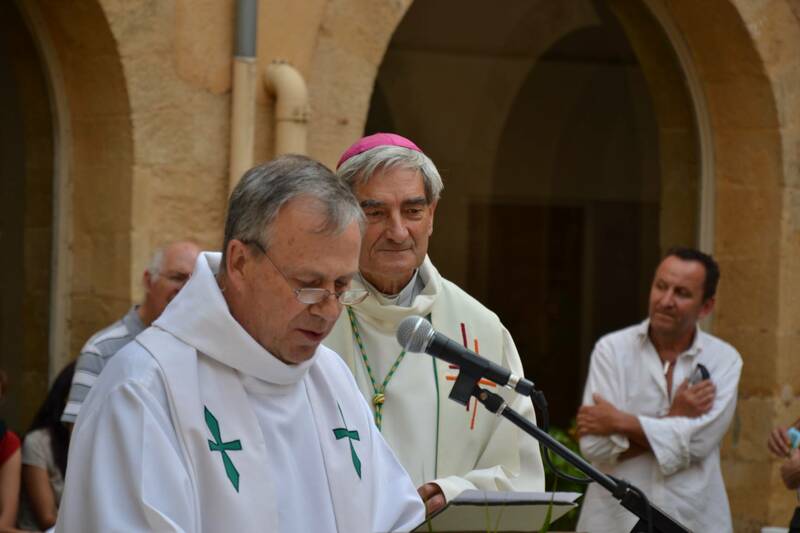 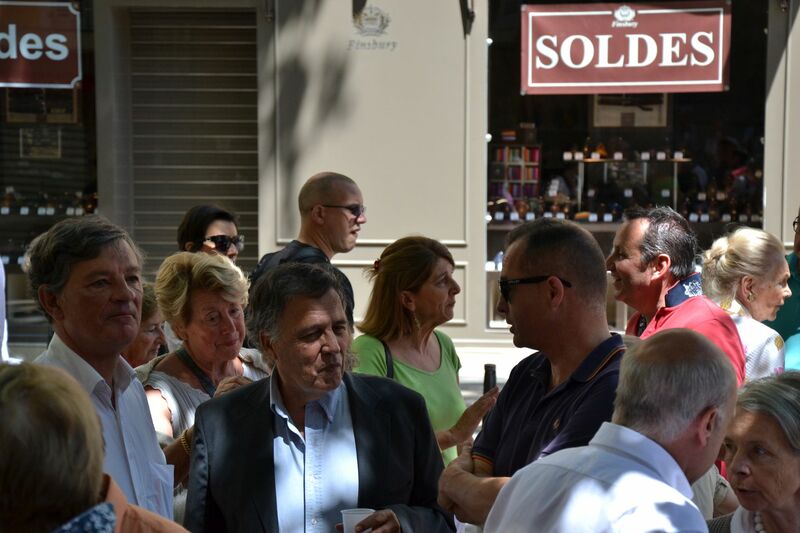 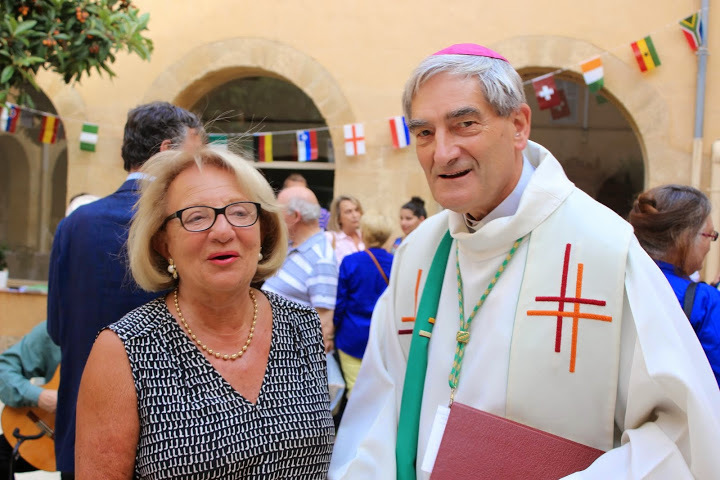 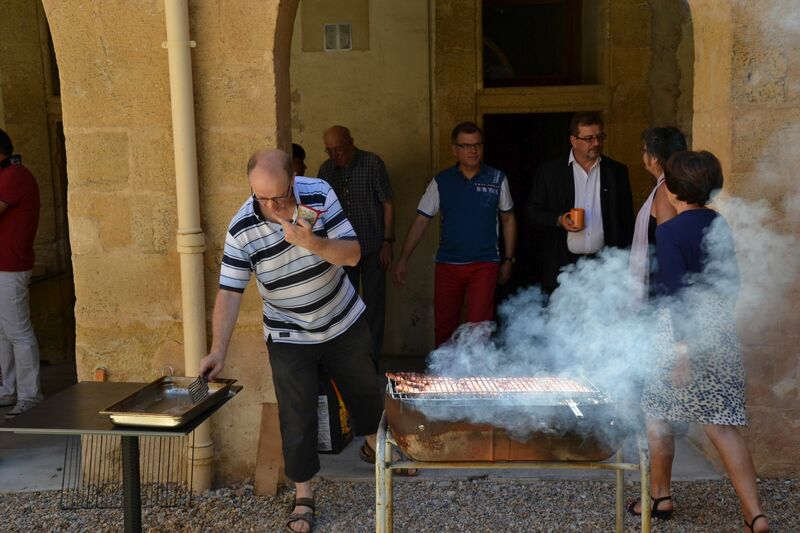 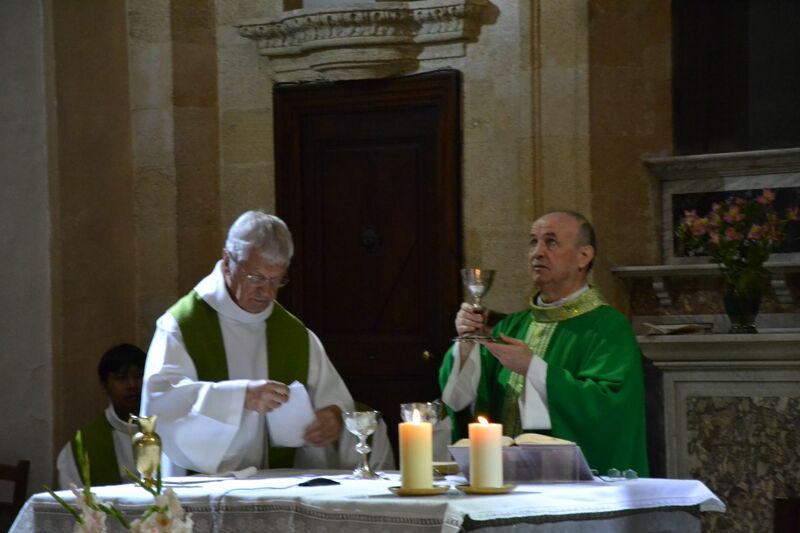 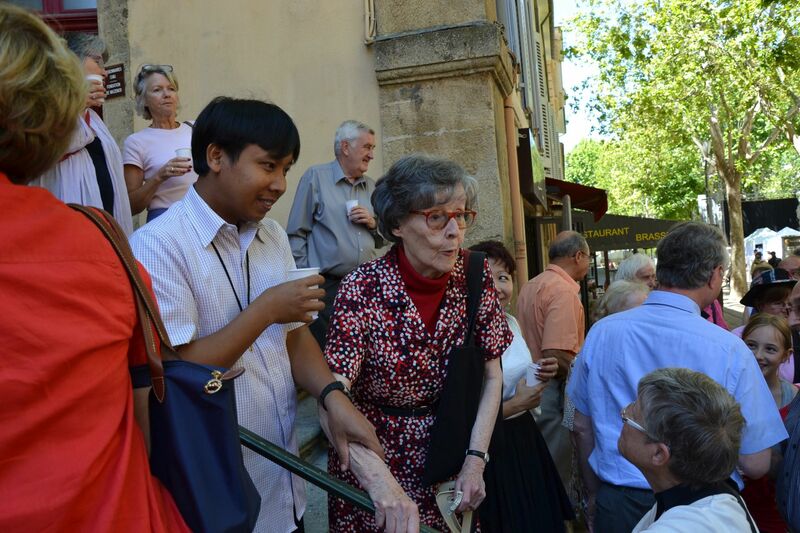 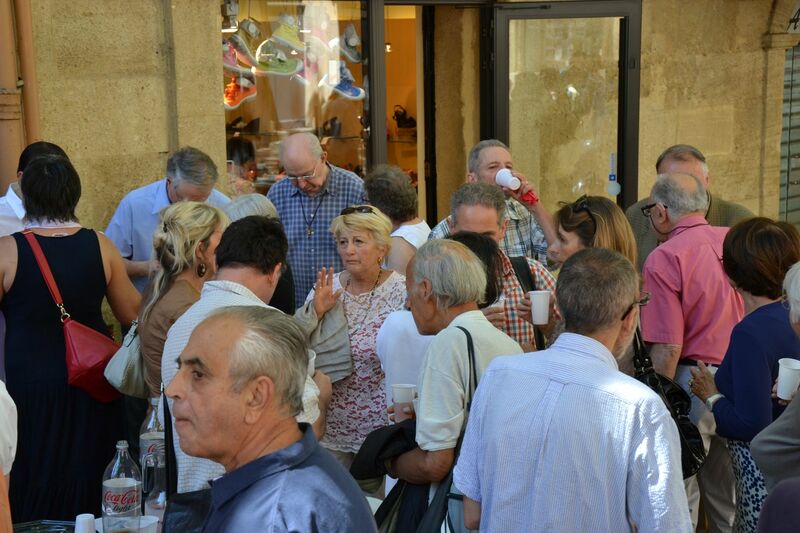 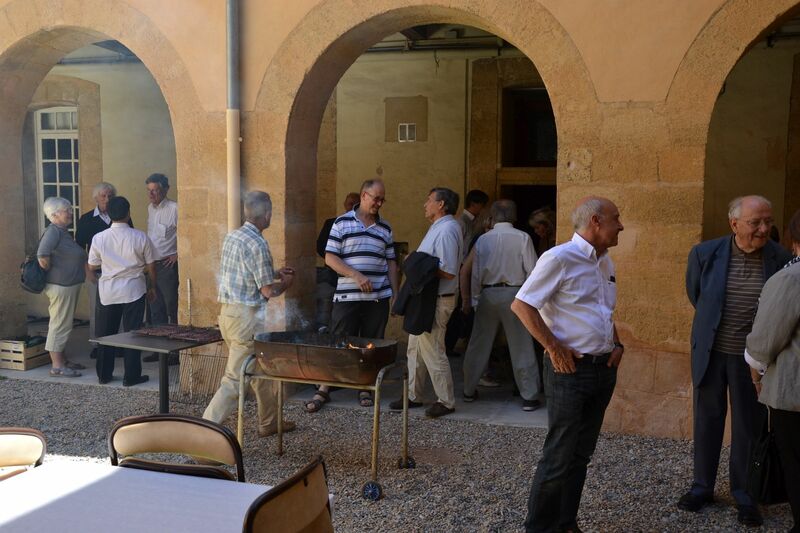 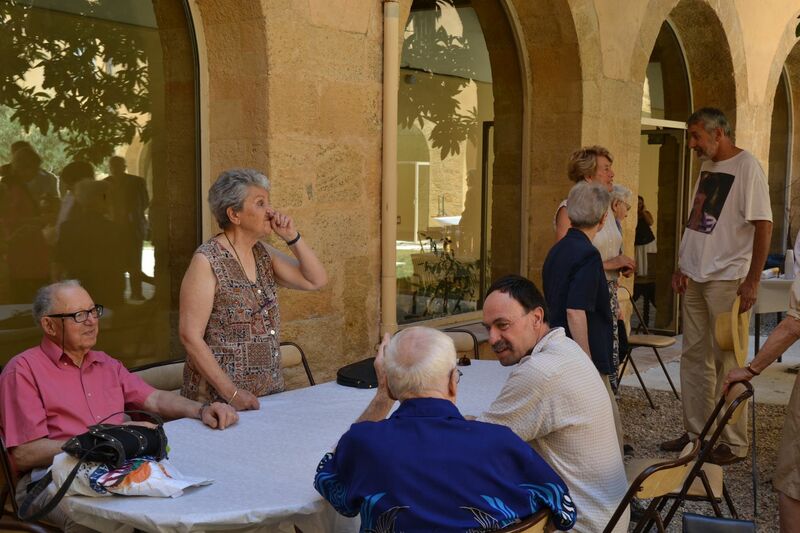 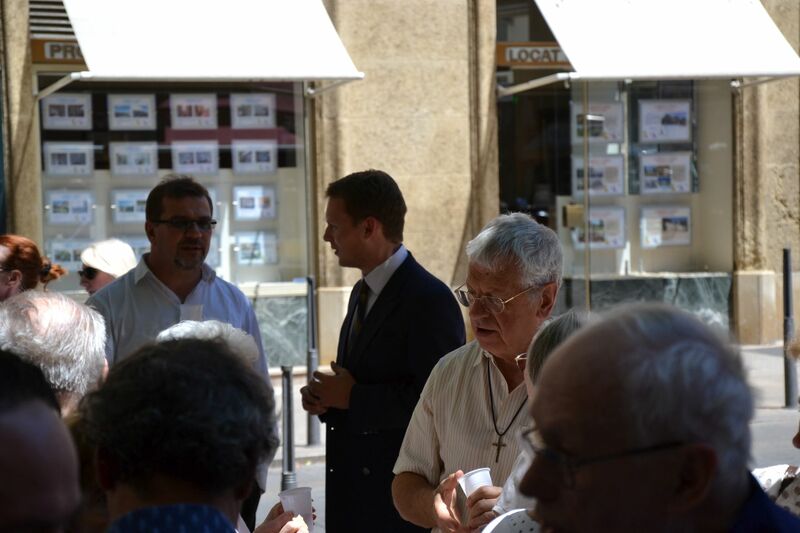 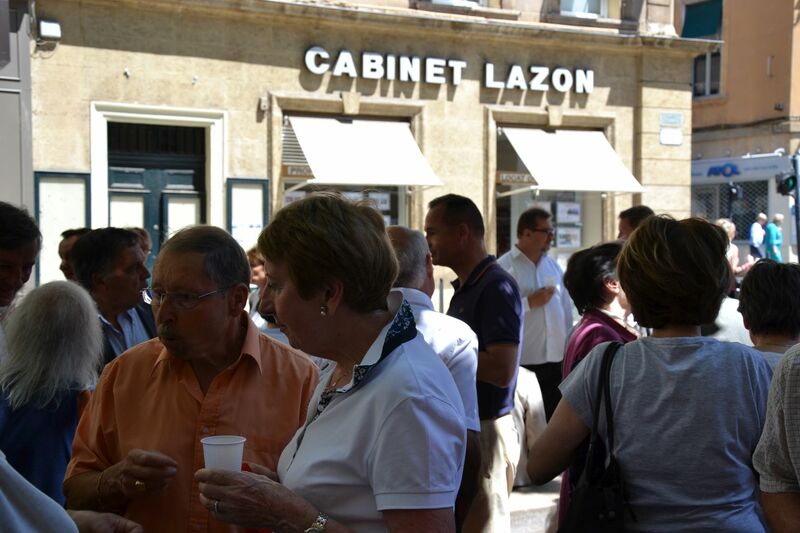 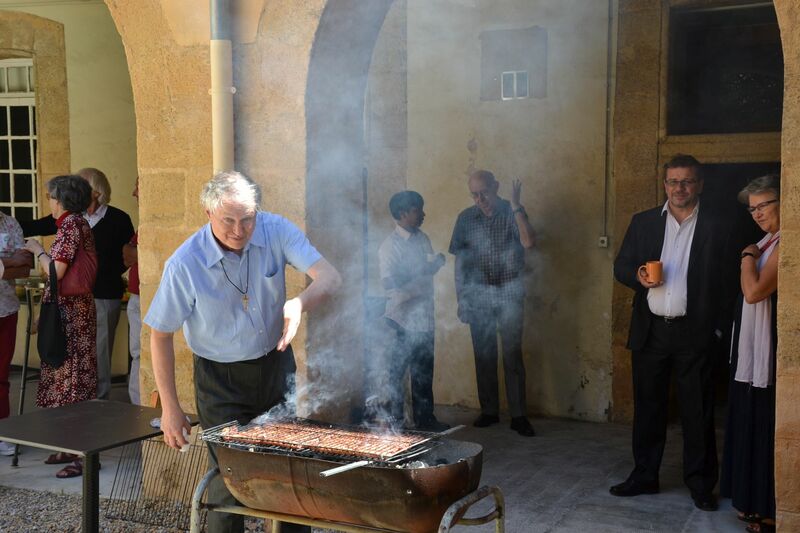 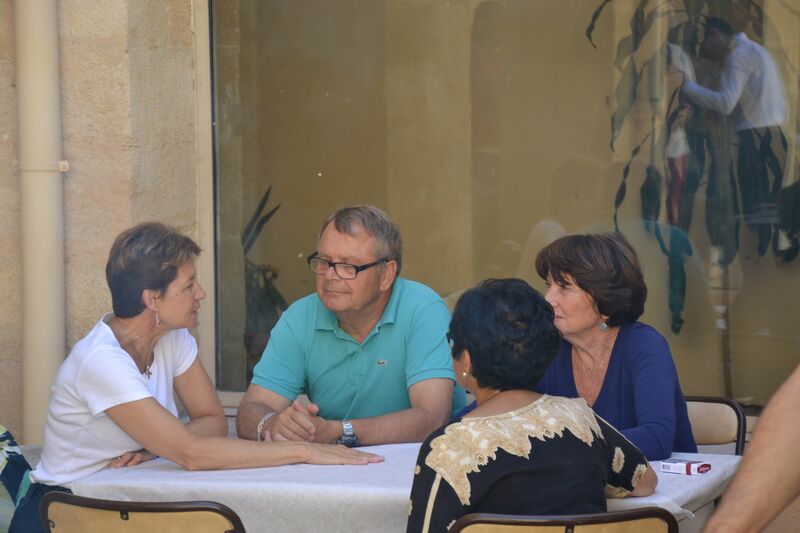 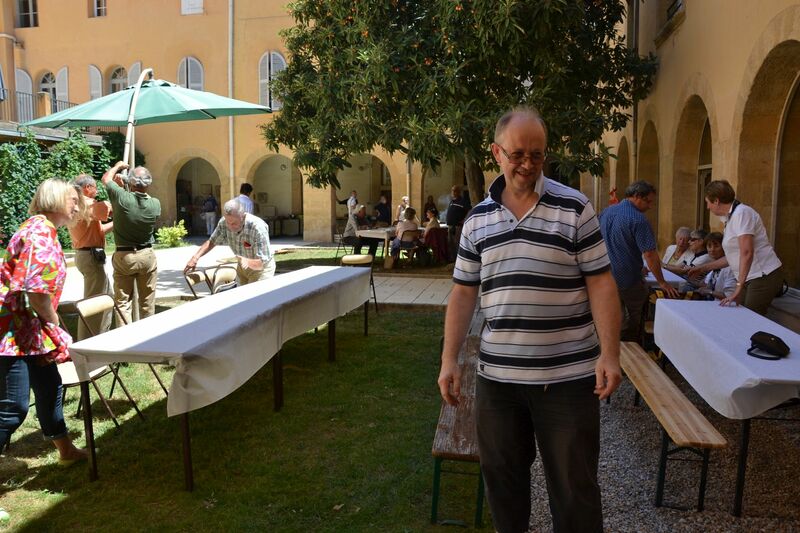 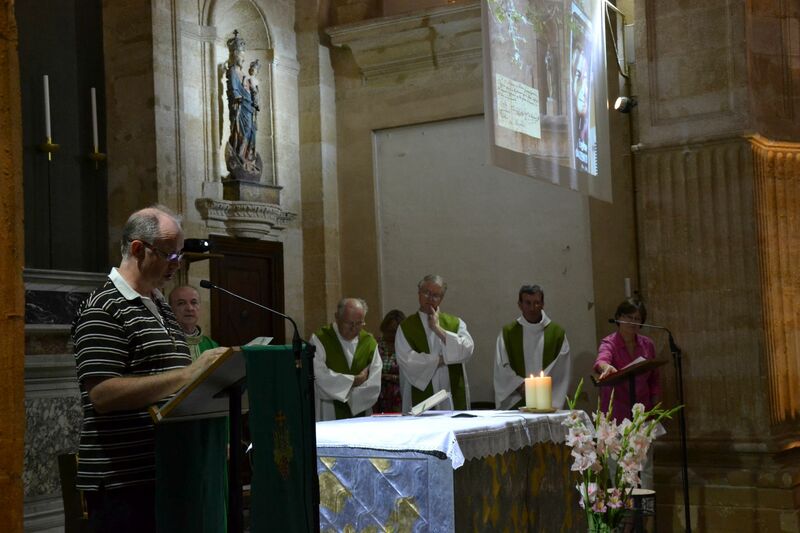 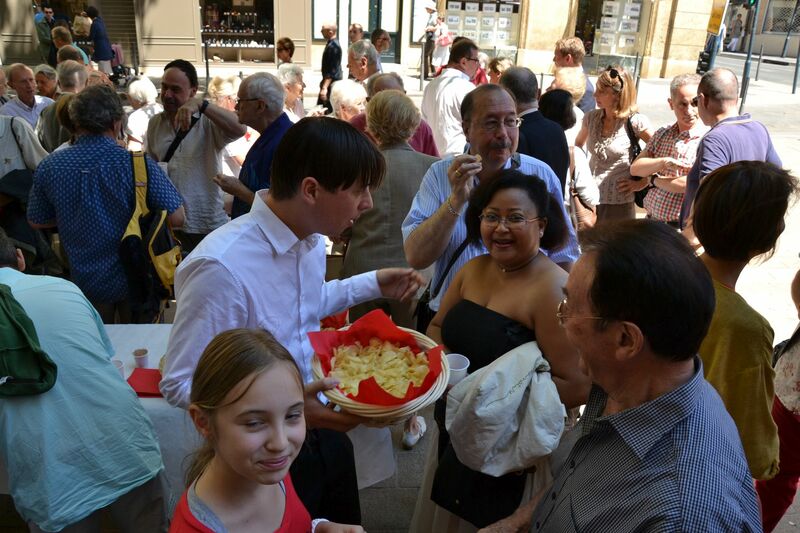 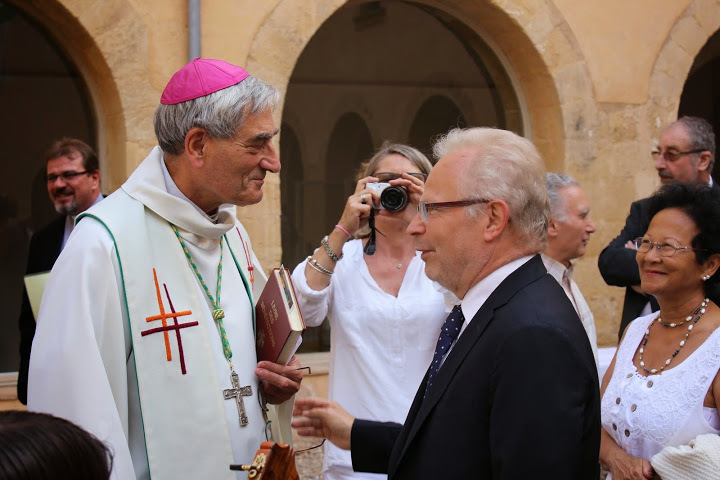 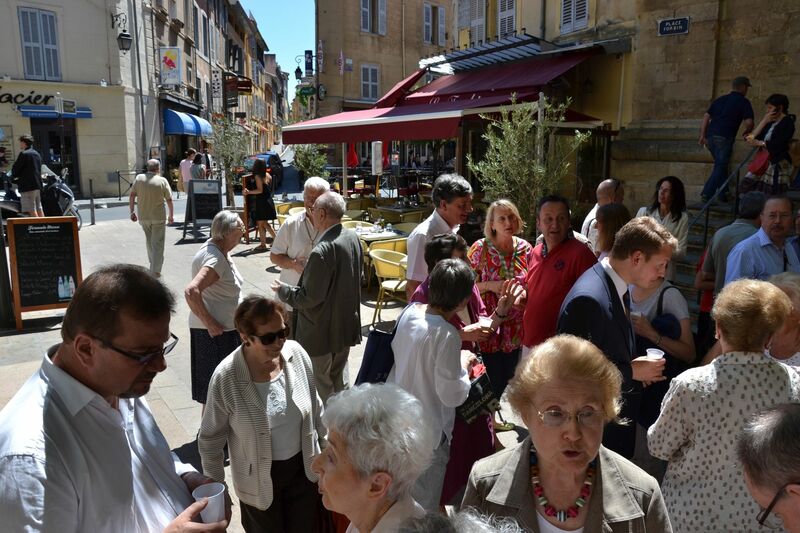 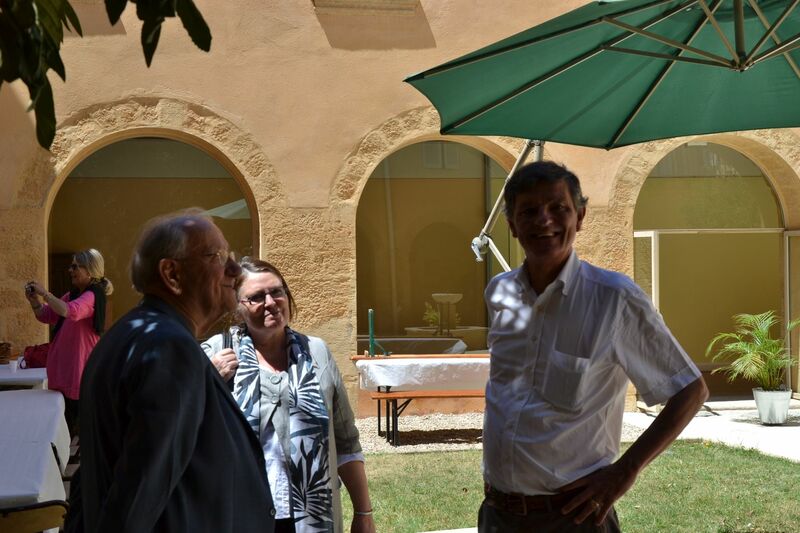 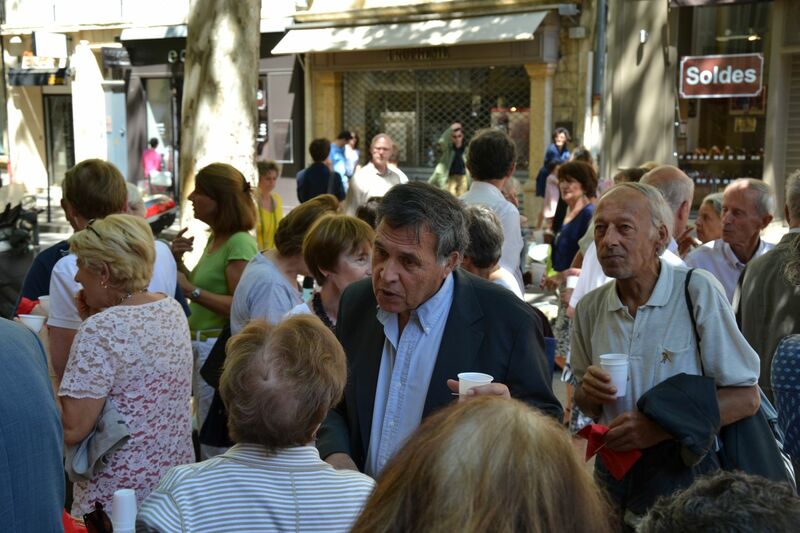 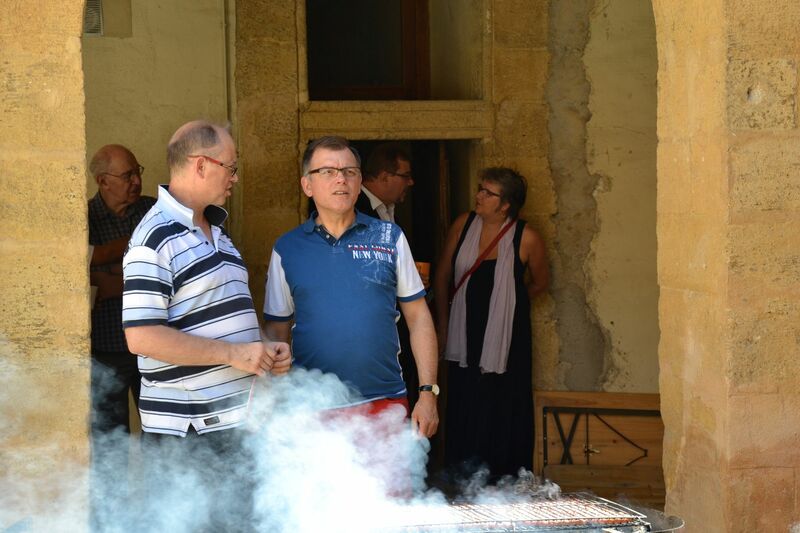 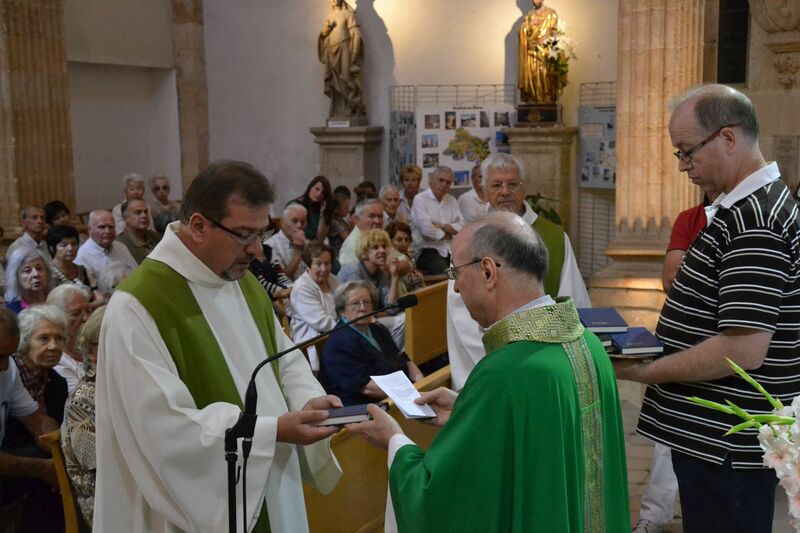 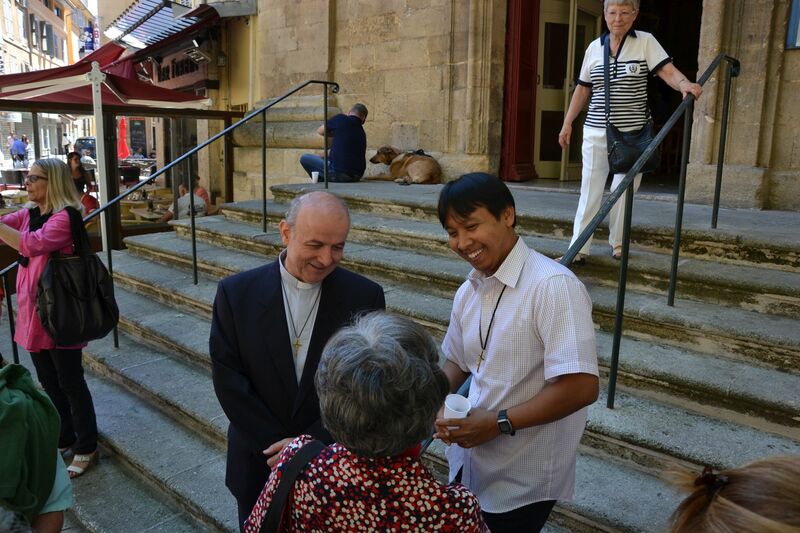 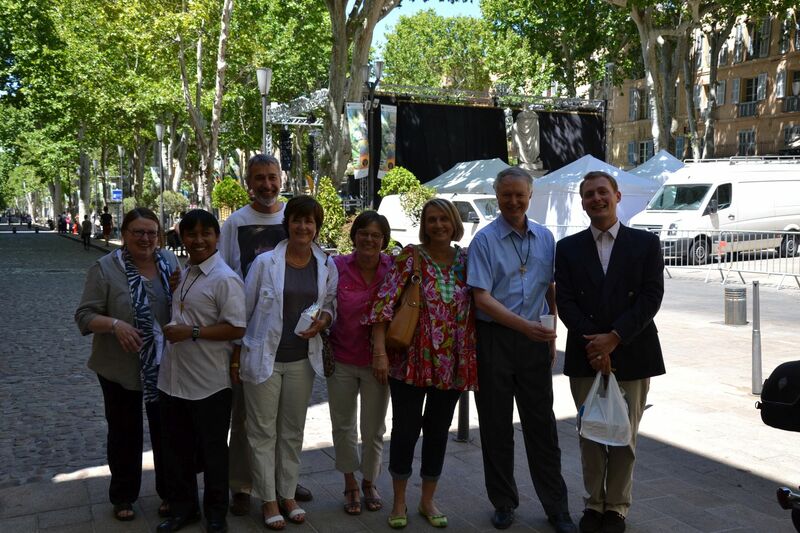 Finally, we can not forget the beautiful feast that we had organized on the 22nd of September in Saint Laurent du Verdon, in the vicinity of the castle which had once belonged to the de Mazenod family. 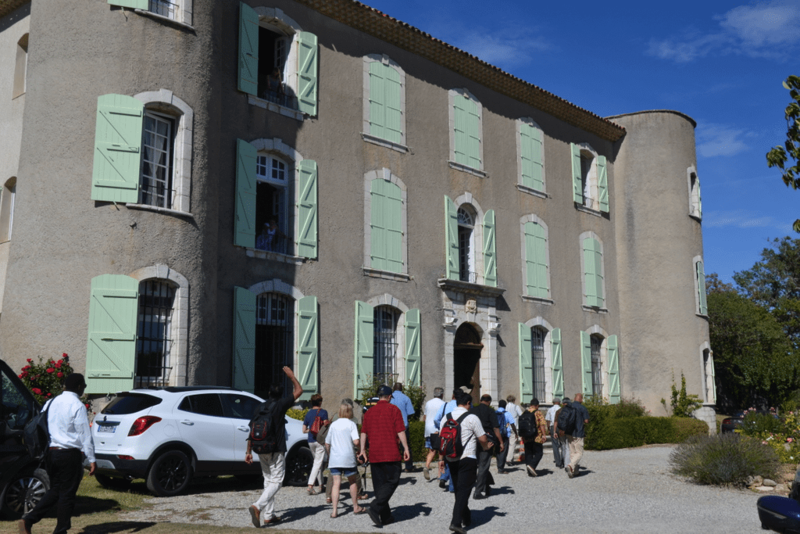 It was in this castle, in September 1818, that Saint Eugene de Mazenod had written the first Rules of the lives of the “Missionaries of Provence” with two of his companions. 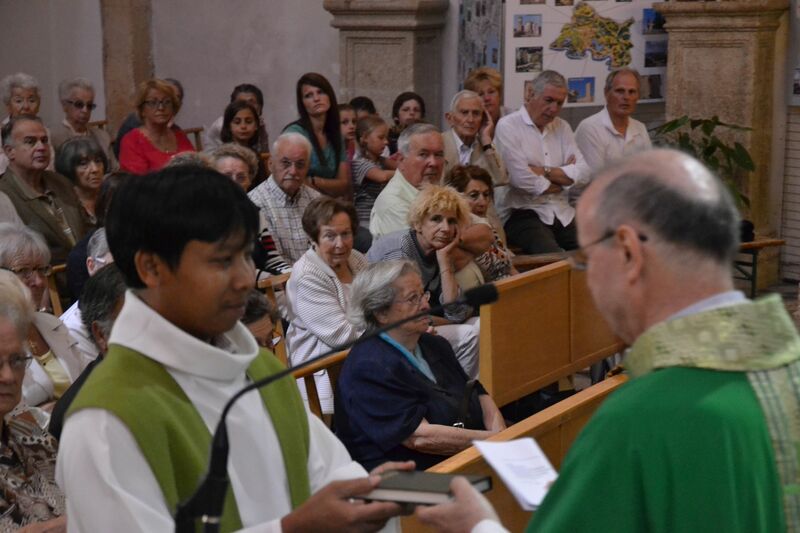 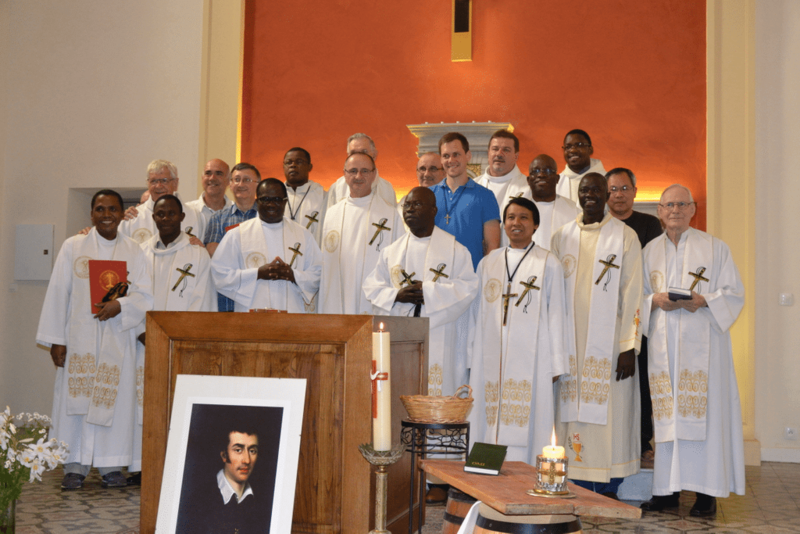 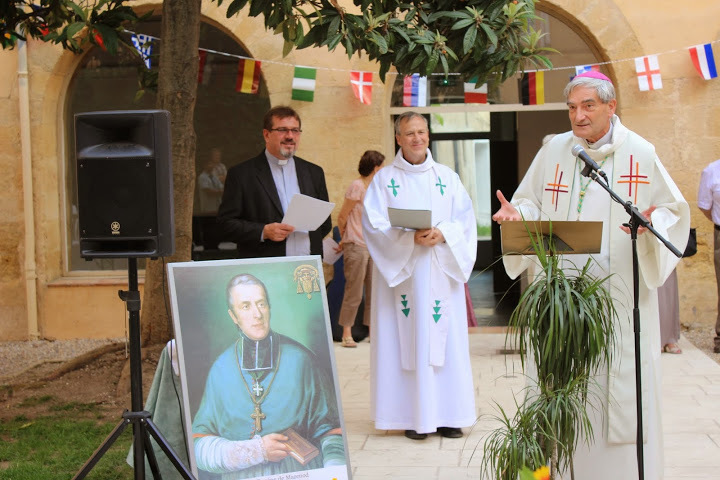 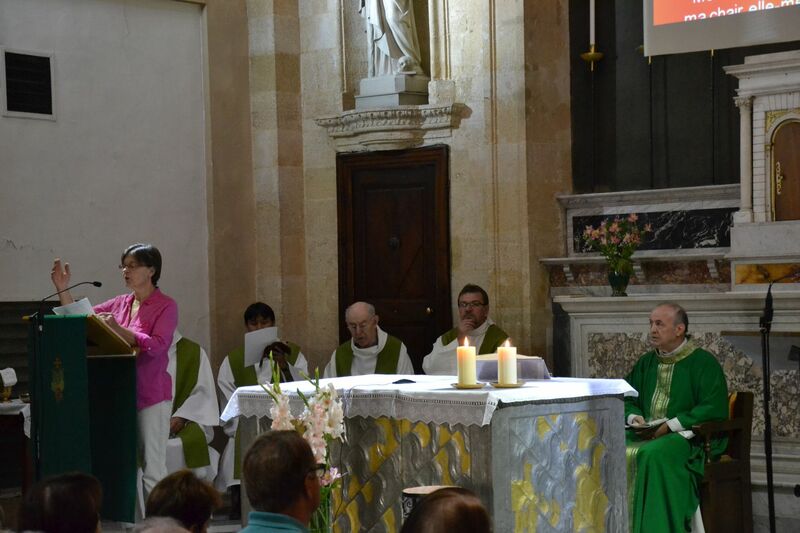 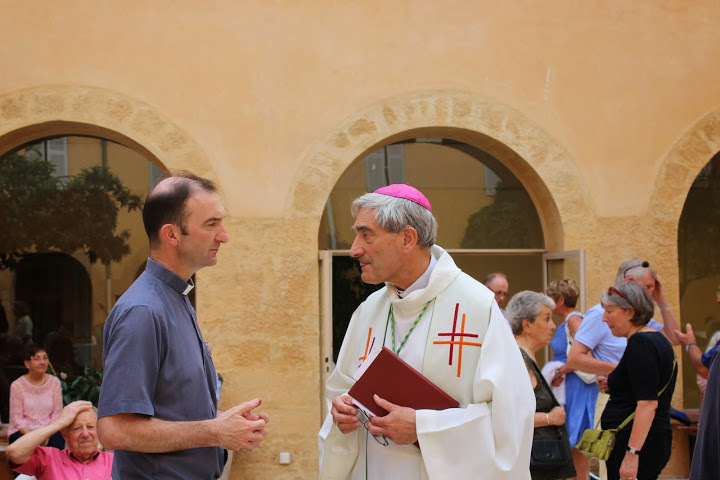 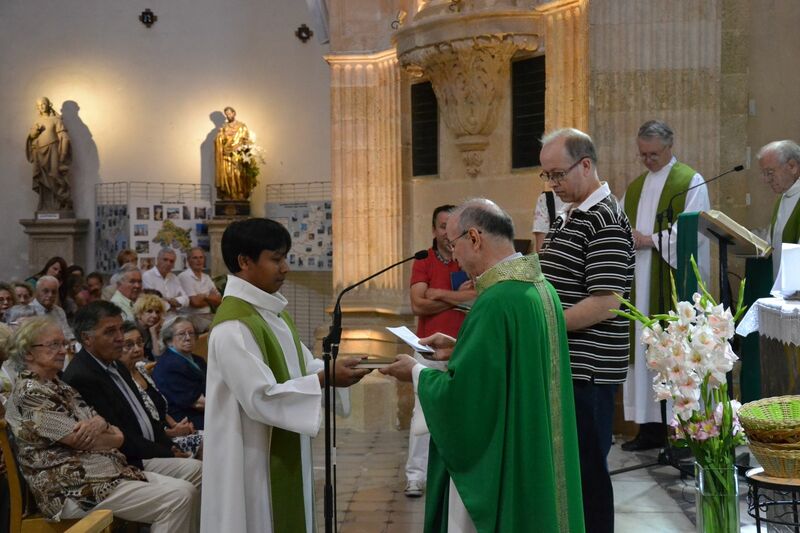 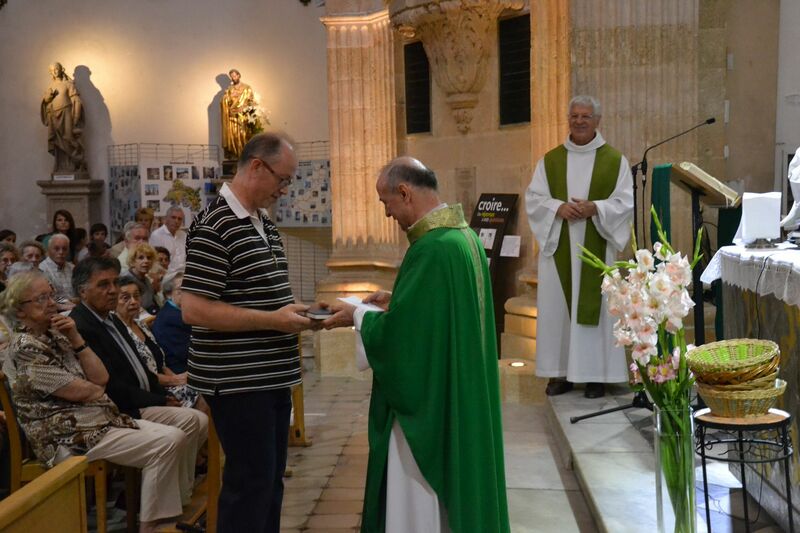 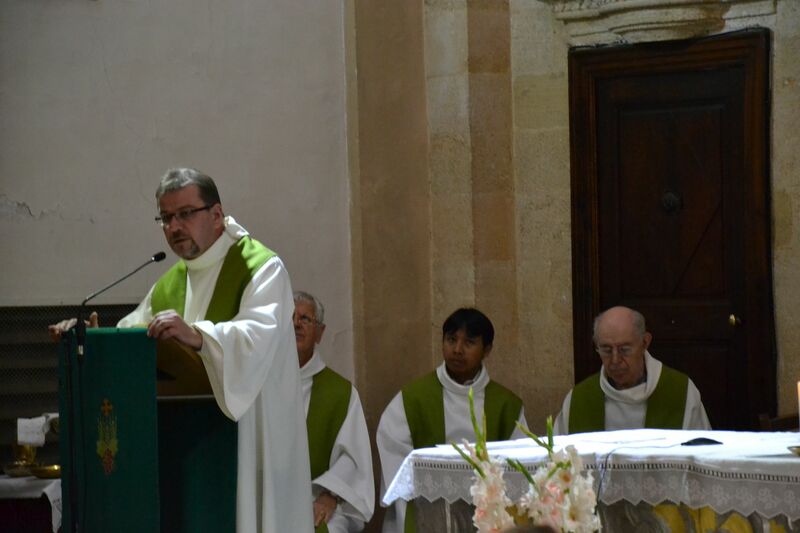 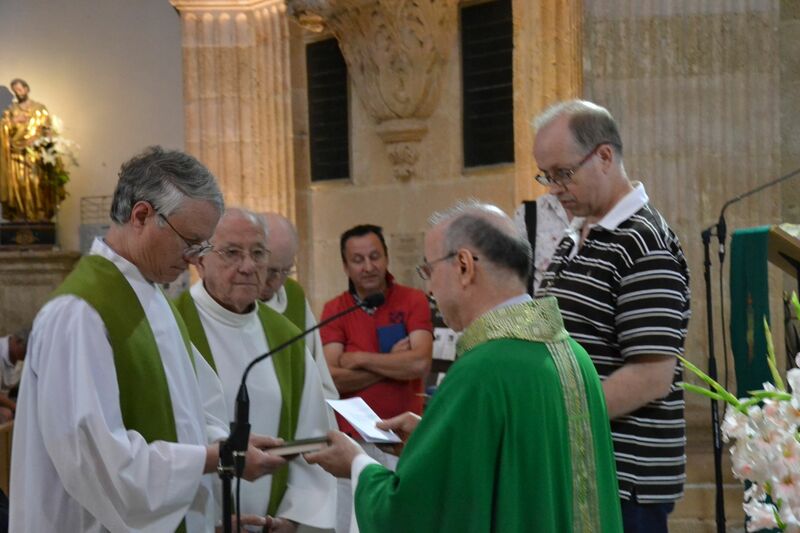 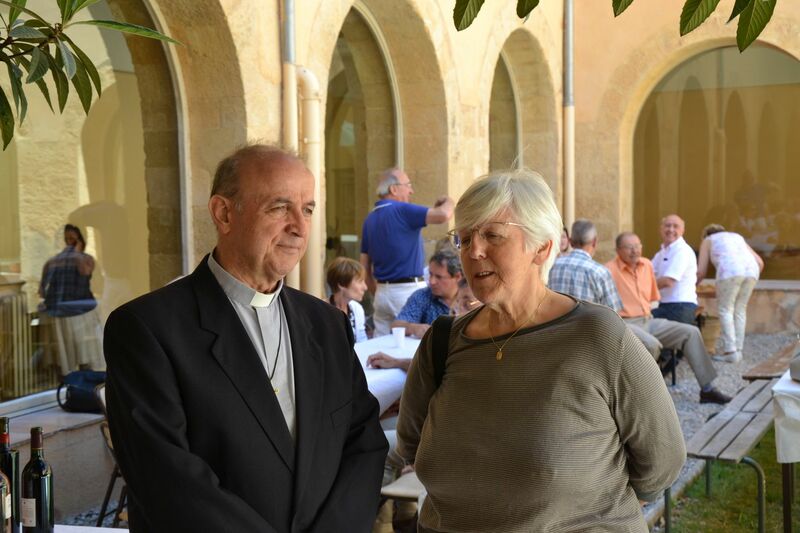 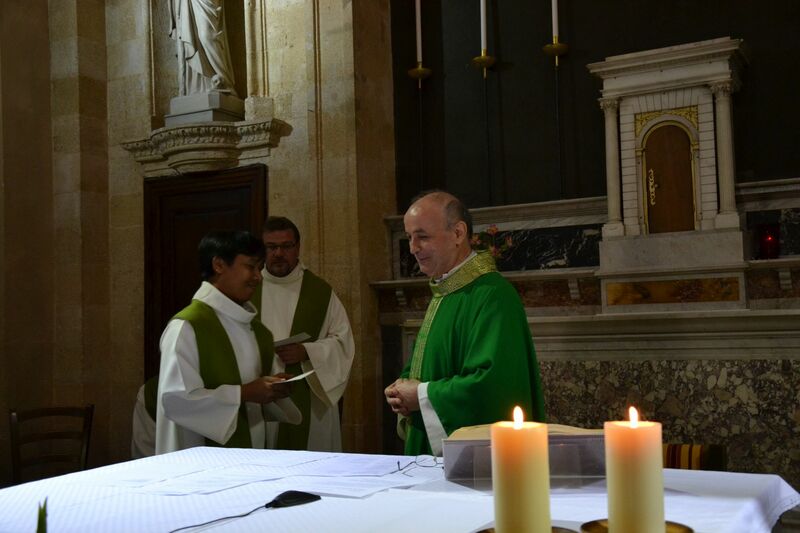 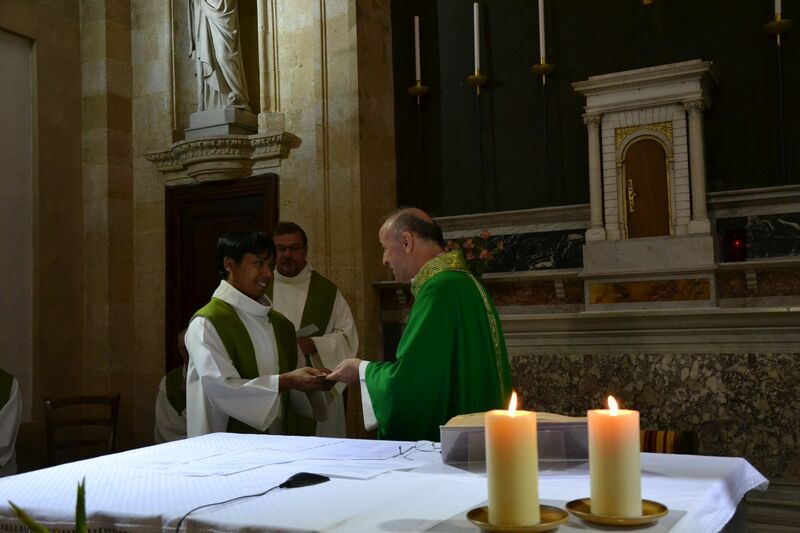 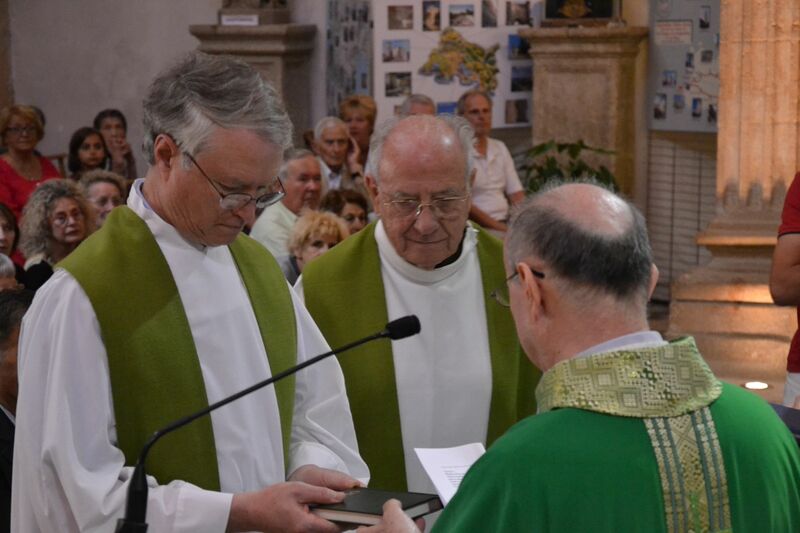 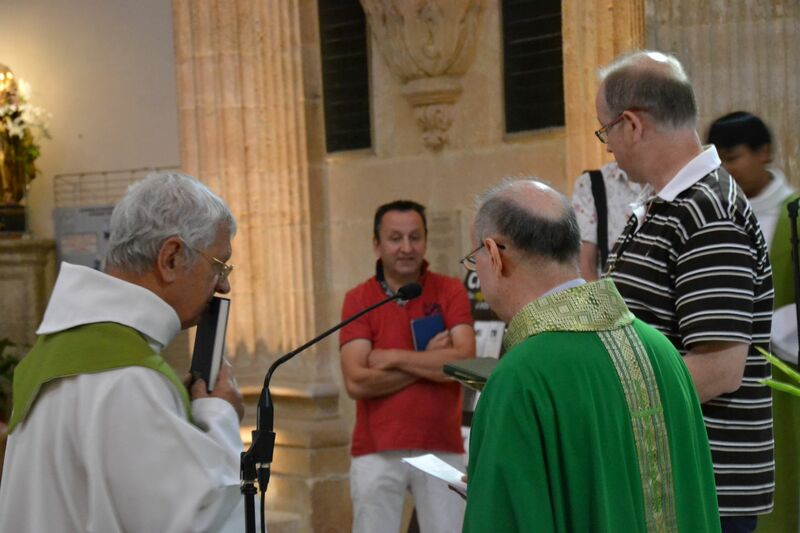 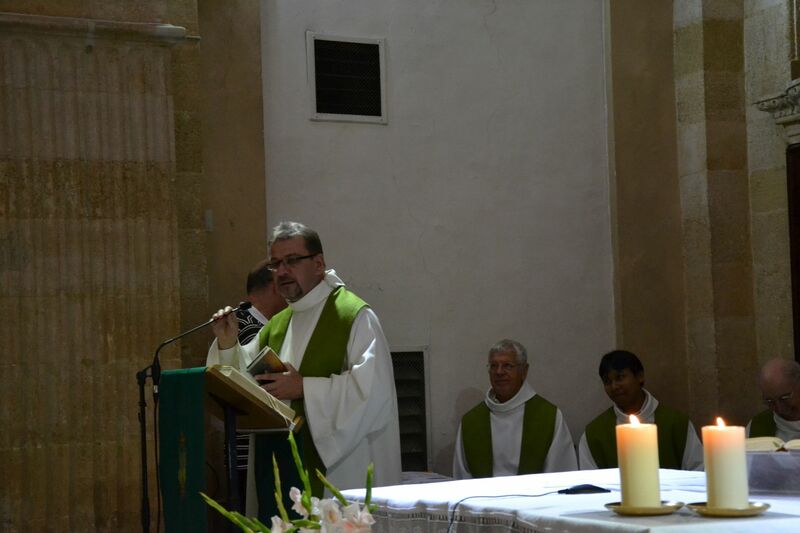 The Father General, Louis Lougen, had come for this occasion, along with other Oblates and about fifty lay people from the de Mazenod Family. 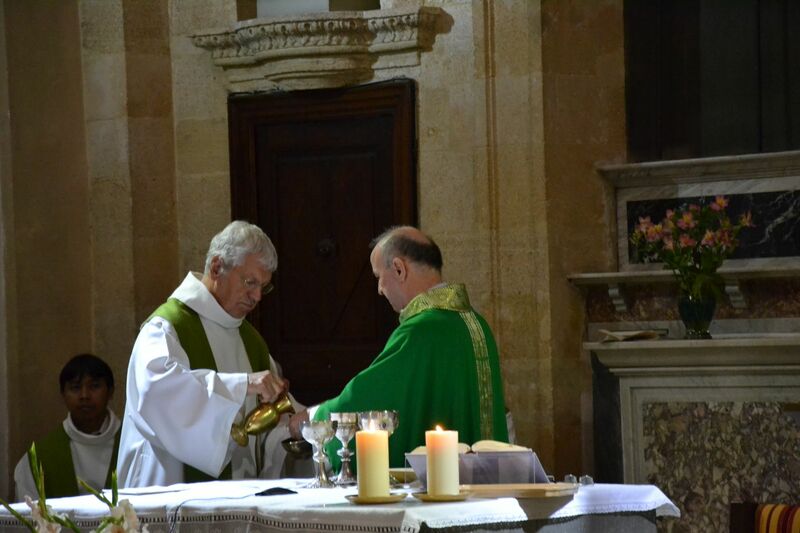 We celebrated mass in the little village church and blessed the plate on the church wall to commemorate this important event.